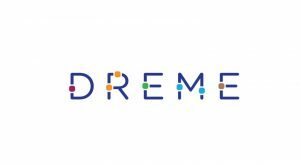 The DREME Network (Development and Research in Early Mathematics Education), residing within Stanford’s Graduate School of Education, is a national network of 11 leading scholars at 10 universities. The Network was created to advance the field of early mathematics research and improve young children’s opportunities to develop math skills. The Math and Executive Functions project strives to produce knowledge about the association between math and executive function—the mental processes involved in planning, focusing attention, and switching among mental tasks—and to explore how competencies in math and executive functioning can be enhanced through particular instructional offerings. The Parent and Early Caregiver Engagement in Math project aims to identify, develop, and test tools and practices to increase the quantity and quality of parent and caregiver engagement in children’s math learning. The Preschool Through Elementary School Coherence (COHERE) project investigates the effects of policy alignment and curricular coherence on students’ learning opportunities, experiences, and achievement in mathematics from pre-K through second grade. The Teacher Educator Professional Development project develops, pilots, and evaluates a system of online educational resources to support the professional development of prospective and practicing teachers in early math education.